Bardolino lies at the foot of rolling hills covered with orchards, olive groves and of course, the vineyards for which the village is so famous. Your holiday in Bardolino offers excellent accommodation, while the attractive and lively traffic-free centre is home to numerous bars, restaurants and smart shops. Its main square is full of inviting terrace cafés where you can relax and enjoy a glass of the excellent locally produced wine. Evening choir and music concerts are also often held in the square. Bardolino has a very pretty harbour and a scenic two mile walk along the lakeside promenade takes you to neighbouring Garda. Ferries and hydrofoils provide a pleasant and relaxing way to explore other lakeside villages, each with their own individual character and atmosphere. Holidays in Bardolino offer lakeside relaxation at it's best. The Wine Festival in Bardolino (October) brings the summer season on Lake Garda to a close. 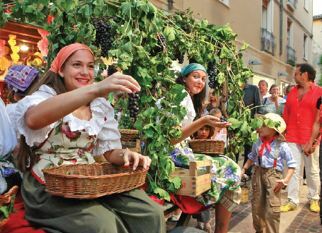 Five days celebrating the new harvest of the grapes from which the famous Bardolino wines are made. Plenty of opportunity to taste the wines and sample regional food specialties, all accompanied by musical concerts ending in a spectacular firework display over the lake. The ever popular Catullo overlooks the lake and fishing port, right in the centre of this historic town. Hotel Catullo is an established favourite with Inghams guests with many returning year after year. 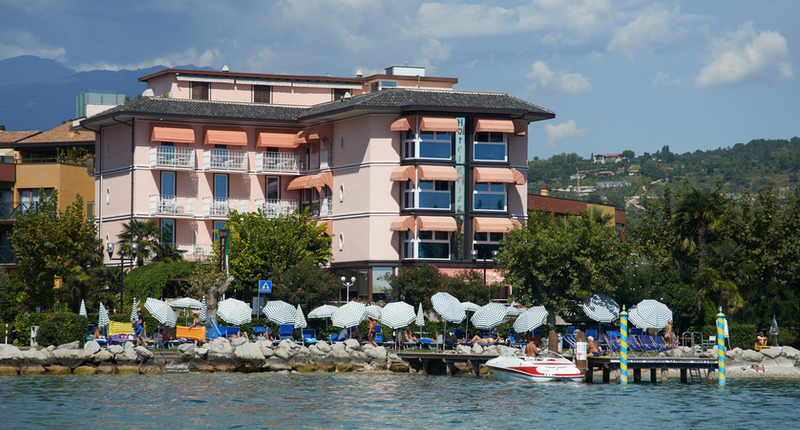 A warm and welcoming family run hotel, the Kriss Internazionale offers unrivaled views of Lake Garda along with a private beach just 10 minutes from the historic centre. This ever popular hotel is modern and comfortable and occupies a wonderful position next to a quiet headland on the lakeside. A superior, family-run hotel the San Pietro offers a warm welcome and excellent service moments from the lakefront. The stylish Aqualux is a modern and innovative hotel with a wealth of cutting edge wellness facilities alongside multiple pools. This family-run bed and breakfast hotel enjoys a convenient location 100 metres from the lakefront, a 5 minute walk from the resort’s numerous shops and eating places. The latest property of the Parc Hotels Italia group, their most exclusive to date, is named after the group's founder, Germano. Transfer Approx. 45mins by coach. In a prime harbour side location, serving fresh pasta, seafood and wood-fired pizzas, The Catullo restaurant is a friendly spot from which to enjoy a beautiful setting. Bardolino's main square is full of inviting terrace cafés where you can relax and enjoy a glass of the excellent locally produced wine. Evening choral and music concerts are also often held in the square. Bardolino has a very pretty harbour and a scenic 2 mile walk along the lakeside promenade takes you to neighbouring Garda. Ferries and hydrofoils provide a pleasant and relaxing way to explore other lakeside villages, each with their own individual character and atmosphere. In September each year, Bardolino Wine Festival take place along the lake front promenade of Bardolino, celebrating the new harvest of the grapes that contribute to the delicious Bardolino Classico red wine. 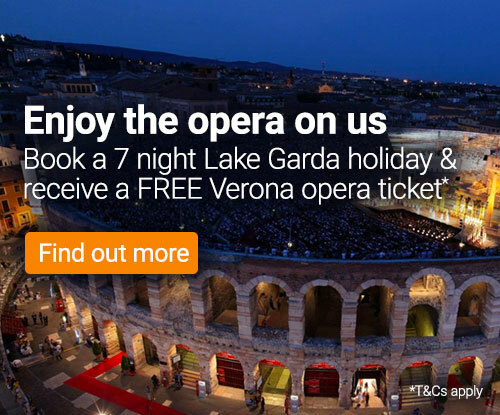 You can also attend the Verona Opera page. Two Centres | You can combine your 7 night stay in Bardolino with 3, 4 or 7 nights in Venice or Verona, or with a stay in Merano or Selva in the Dolomites.